What could make the difference between a utility making it through an event like Hurricane Florence with relatively few impacts, and one that has major, lasting problems? Imagine two utilities, just over the county line from one another, with the same assets that are exactly the same age, located at the same elevations. Will their ability to provide service after a storm be exactly the same? What type of things might they do before the storm hits to improve the outcome? 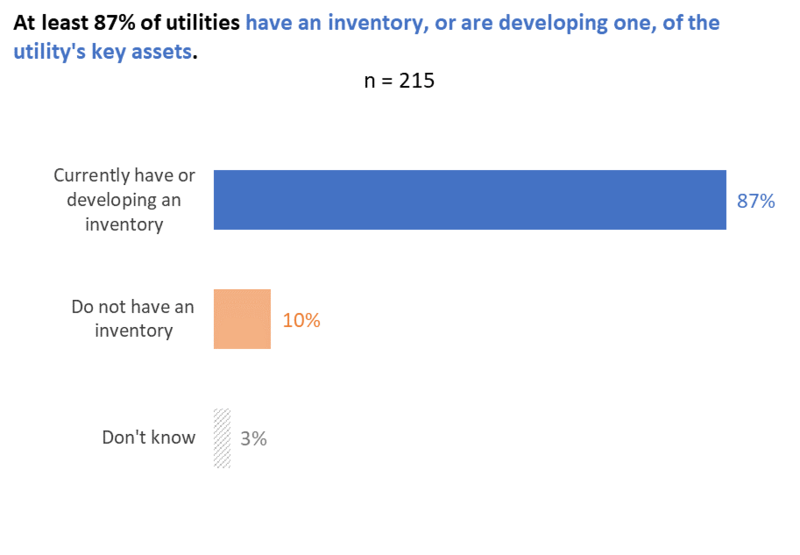 Between November 2017 and March 2018, the North Carolina League of Municipalities (NCLM) and the Environmental Finance Center at the University of North Carolina at Chapel Hill (EFC) set out to answer these kind of questions through a statewide survey of utility management and long-term planning practices and policies. 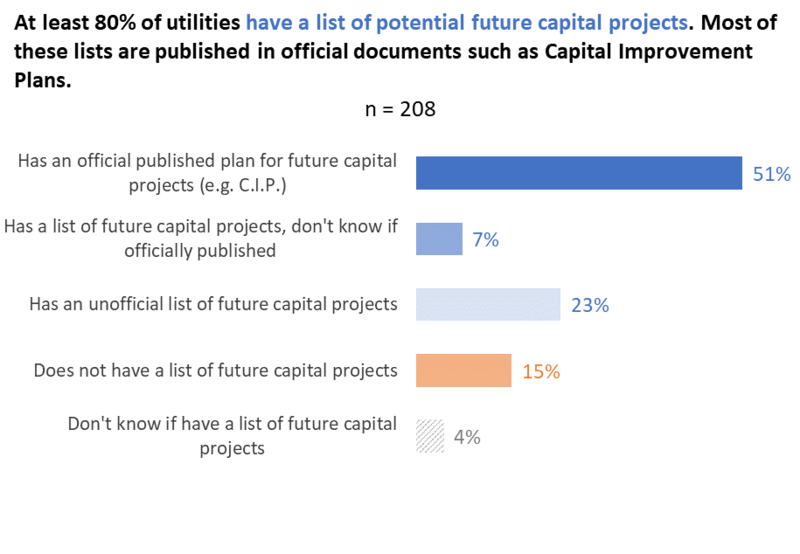 Our notion was that utilities that undertake more planning for the future would show greater resiliency, as measured by financial stability and system performance (fewer regulatory violations). 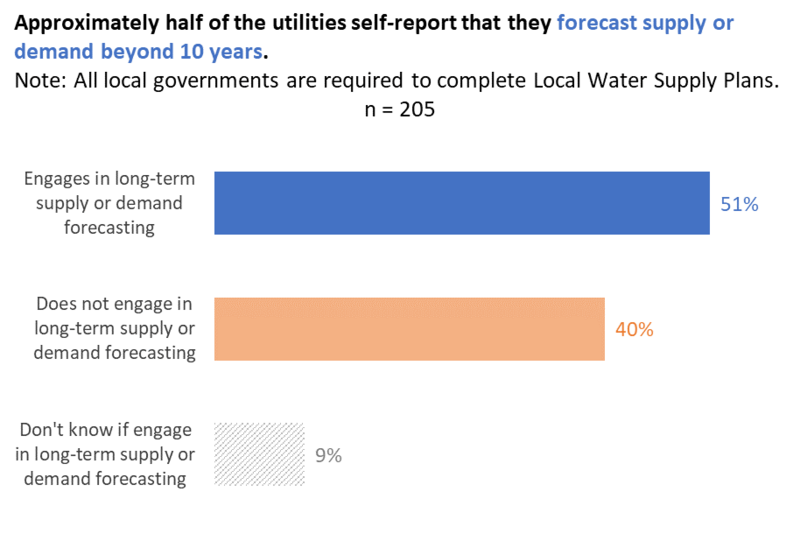 Using guidance from the American Water Works Association (AWWA) and other sources, we identified five key types of long-term planning undertaken by water and wastewater utilities: financial, asset management, capital improvement, disaster/emergency/resiliency, and long-range water resources planning. Key assets include infrastructure and equipment such as pipes and pumps. 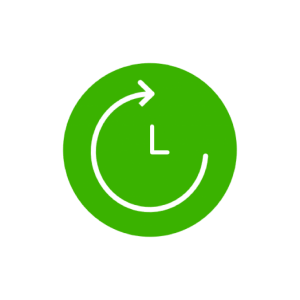 Location of the asset is the most likely to be tracked, followed by age, operations and maintenance plan, and maintenance history. 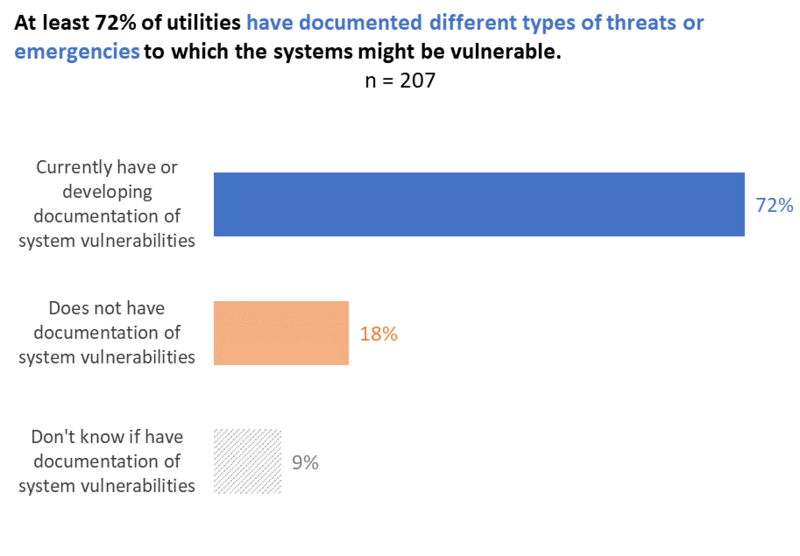 System vulnerabilities utilities documented include natural disasters (62 percent), drought / water shortage (48 percent), and man-made disasters (29 percent). Stay tuned for further analysis investigating the correlation, if any, between long-term planning and resiliency. In the meantime, are you interested in learning more about financial planning best practices? Join us on September 25 for a webinar on setting financial targets for water utilities. Financial targets include a minimum reserve balance for the enterprise fund, a certain number of days cash on hand, a specific debt service coverage ratio, or a maximum debt-per-customer level. 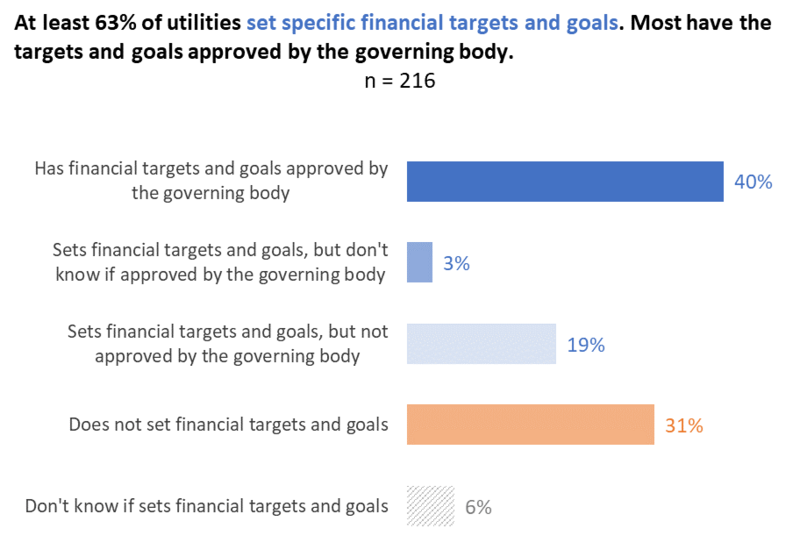 In this webinar, EFC Senior Project Director Shadi Eskaf will discuss financial targets and their benefits, and speakers from North Carolina utilities with outstanding financial performance (Stephen Winters from OWASA and Maria Hunnicutt from Broad River Water Authority) will discuss their utilities’ targets, how they measure performance, and how they make decisions as a result of adopting this practice. There will be time for questions from the audience for the utility speakers and the EFC. The webinar will be conducted on Tuesday, September 25, from 10:00–11:00 am ET. For more information and registration details, click here.